Chiropractics is an alternative form of medicine used to treat mainly back and spine problems. It has evolved at an exponential rate over the last decade or so and is accepted worldwide as an effective therapeutic care. 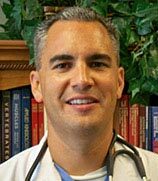 Experts like Dr. Aaron Richardet are always looking for new and improved techniques to master this form of medicine and provide a better alternative to patients suffering from back pain, joint pain and other ailments. D.D Palmer is credited as having found chiropractic therapy in 1890; however, scriptures dating way back from China and India have referenced this form of medicine. In recent years, it has gained more legitimacy and greater acceptance among conventional physicians and health care plans. It focuses mainly on the manipulation of the musculoskeletal system, especially the spine. People suffering from various conditions have found it effective in relieving pain using a trained chiropractor’s services. Chiropractics is widely used as a treatment for lower back pain. Spinal adjustments have been often found to improve the condition of a patient suffering from this ailment. The manipulation of the spine using various chiropractic techniques serve as an effective way to counter pain caused by it. A trained chiropractor like Dr. Aaron Richardet would ask for your medical history, perform a physical examination, and then suggest an appropriate treatment method using chiropractics. The treatment may involve an adjustment made to the spine in which the doctor manipulates the joints using a controlled, sudden force to improve range and motion quality. A 2013 study regarding the treatment of sciatica (a pain involving the nerve system situated at the lower back of the body), found that chiropractic therapy can help improve the condition effectively. There is evidence suggesting the effectiveness of chiropractics on lumbar radiculopathy and disc herniation. Both of which can cause insufferable pain to the one suffering. Studies have shown that it can relieve the pain and provide almost instant relief in these conditions. Neck pain has been found to be a growing annoyance for many patients. Chiropractics allow people to relieve the tension in the neck. There are various methods to treat neck pain using chiropractics. Cervical mobilization is a technique in which the patient lies on his or her back and the doctor moves the neck vertebra from left to right and also works on the flexibility. In cervical manual traction, the patient is usually sitting upright and the doctor gently rubs the neck in a vertical up and down fashion, stretching the nerves and spinal cord. This allows to relieve any tension in the nerve cells. Cervical “drop” techniques are used to alleviate a patient’s distress by a medium to high velocity, low amplitude thrust. Previous researches have shown that headaches are closely related to spine misalignment. The tension caused by spine misalignment leads to neck disorders. This, in turn, lead to headaches which are induced by the stress in the neck. A 2011 study found that chiropractic spinal manipulation therapy can be helpful in these conditions. Chiropractors can heal the neck by re-aligning the spinal cord which would relieve the stress from the neck. This would ensure that there are no more headaches for a patient suffering on a regular basis. One study showed that out of the patients suffering from migraine attacks, 22% observed 90% less intensity in the frequency of attacks, and over 49% confirmed that they were experiencing less pain during their headaches. This was after they began treating themselves through chiropractic care. There have been researches conducted regarding the chiropractic treatment effectiveness on extreme conditions. Conditions like knee osteoarthritis fall under this category and can be treated expecting the best results through chiropractic care. Osteoarthritis most commonly caused in the knee is the gradual degradation of the knee cartilage. A deformity can be caused by various factors including weight gain, a sports injury, or repetitive stress injuries. Symptoms of the condition include insufferable pain, swelling or stiffness in the muscles. These symptoms can be effectively treated through chiropractic therapy under experts like Dr. Aaron Richardet. Every patient has to receive a different kind of treatment in this case due to varying factors which caused the condition. You should consult your doctor first, undergo a thorough medical examination of the affected area and then plan your treatment. Several studies have shown the ability of chiropractic therapy to improve certain conditions. These conditions can affect any of the external organs of a body. The patient suffering from specific musculoskeletal conditions should consult their chiropractor first for a detailed understanding of the disease. Then, he or she would have to undergo a physical examination to verify the affected areas and the best course of treatment that would be suitable for the patient. Studies show that chiropractic treatment benefits cervicogenic dizziness, and a wide variety of nonmusculoskeletal conditions. This includes ADHD or learning disabilities, dizziness, high blood pressure and vision conditions. Chiropractics has gained a considerable amount of spotlight during the recent years as a non-invasive therapeutic treatment. And, it has been rightly so. Experts like Dr. Aaron Richardet continuously strive to better the treatment methods and regular practice helps them do so. Many scriptures dating back to the early 1st century have shown that this ancient practice existed long before it was approved for clinical practice. It uses body’s healing powers to relieve the tension felt at a particular spot in the body. It also helps to reduce the pain that is felt after prolonged suffering from a certain disease that might involve the spine or other joints in the body. Many health problems can cause a misaligned spine, the ensuing pain, anxiety levels and constant discomfort. Regular visits for treatment at your chiropractor not only helps with your current disorders, but it can also go a long way towards preventing illnesses and joint problems in the future.